Legislation expanding Colorado’s tax incentives for electric vehicles could mean over $99 million less in revenue for the state’s general fund at a time when Democratic lawmakers are looking for ways to raise tax revenue. 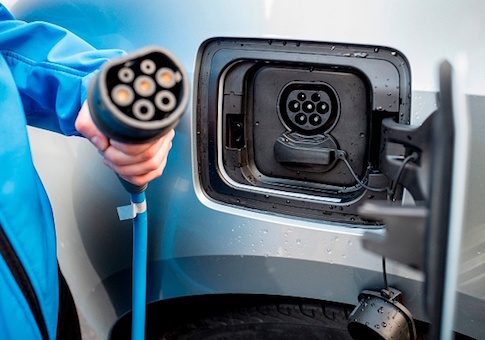 The current electric vehicle tax credits offered for purchase or lease of electric or hybrid vehicles is scheduled to be reduced, then phased out by 2022. House Bill 1159 would increase the tax credits offered for 2021, the last year the credits are offered under current law, and extend the credits through 2025. But the tax credits offered in HB 1159 would mean the state’s general fund loses out on $99.2 million in revenue, according to the estimate in the bill’s fiscal note. The fiscal note, prepared by the nonpartisan Legislative Council Staff, estimates the credits offered through the bill will average more than $4,500 in 2021 and 2022 and more than $2,800 in 2023 through 2025. The Independence Institute called the legislation "fiscally irresponsible" in a blog post, considering that Democrats in the state are looking for ways to raise tax revenue to fund several policy proposals. Colorado Democrats have proposed overhauling oil and gas regulations in the state, a move that opponents say would hurt one of the state’s top industries and a key source of tax revenue. On Wednesday, Colorado Democrats announced plans for a set of bills that would ask voters to give up tax refunds granted through the Taxpayer’s Bill of Rights (TABOR) and use the revenue to fund education and transportation. Colorado taxpayers have consistently voted against changes to TABOR and tax-related ballot proposals, most recently rejecting Amendment 73 in November, which would have created a progressive income tax and raised revenue for education. Governor Jared Polis signed an executive order in January mandating that more electric vehicles be made available in the state. Steve Pociask, president and CEO of the American Consumer Institute, questioned the effectiveness of electric vehicles in an email. "When compared to conventional vehicles, the empirical evidence shows the reduction in electric vehicle greenhouse gas emissions to be greatly overstated," he said. "In addition, these vehicles are more costly to purchase than conventional vehicles, and they produce other sources of pollution, such as increased toxicity to humans, as well as terrestrial and freshwater life, due to the mining and production of nickel, graphite and cobalt used in batteries." The bill passed the House Finance Committee last week and was referred to the Appropriations Committee.